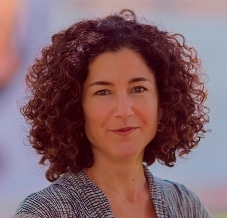 Roxani Eleni Margariti began teaching at Emory in 2002 and was promoted to Associate Professor in 2008. She was educated in England (BA in Western Asiatic Archaeology from University College of London), and the United States (MA in Nautical Archaeology at Texas A&M University, 1998; PhD in Near Eastern Studies at Princeton University, 2002). Her research interests include Middle Eastern social and economic history, maritime history and archaeology, material culture, and urban studies. She has participated in numerous archaeological excavations and surveys in England, Greece, Turkey, Oman and the UAE, and has served as assistant to the Curator of Islamic and East Asian Coins and Medals at the American Numismatic Society in New York, and as senior assistant and editor of medieval Judeo-Arabic manuscripts at Princeton University's S.D. Goitein Laboratory for Geniza Research. At Emory, she teaches a variety of courses, including introductory courses on Middle Eastern history and civilization and specialized seminar courses on medieval Middle Eastern history, travel literature and material culture. Her first book, entitled Aden and the Indian Ocean Trade: 150 Years in the Life of a Medieval Arabian Port (Chapel Hill, NC: University of North Carolina Press, 2007) is a study of urban topography and commercial institutions at the Yemeni port from the 11th to the 13th century. She is co-editor of two volumes of collected essays: Histories of the Middle East: Studies in Economy, Society and Law in Honor of A.L. Udovitch (Leiden: Brill, 2010) with Adam Sabra and Petra Sijpesteijn; and Jews, Christians and Muslims in Medieval and Early Modern Times: A Festschrift in Honor of Mark R. Cohen (Leiden: Brill, 2014) with Arnold Franklin, Marina Rustow and Uriel Simonsohn. Her current research focuses on islands, insularity and the biography of the Dahlak archipelago in the Southern Red Sea through medieval and early modern times. She is also working on the social history of the Fethiye Cami (Conquest Mosque) in the Roman Agora in Athens.